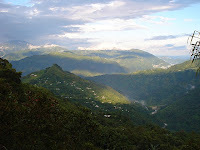 Mungpoo is located 33 km east of Darjeeling and 52 km north-east of Siliguri. Mungpoo has an average population of 15,000 to 20,000 people. The people of Mungpoo are culturally advanced, and have a fair level of education with 12 schools including four of higher secondary level. The nearest college is in Darjeeling. Mungpoo in 1984. The number of employees is 40. These factories fall under the administration of the Directorate of Cinchona (under the Directorate of Industries, Government of West Bengal). 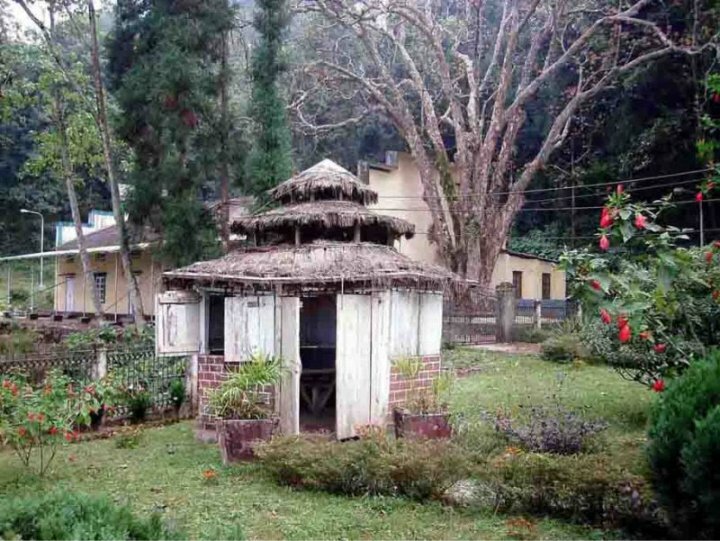 The activities of the Directorate, since about a century and half in the hills of Darjeeling District, initiated in the then Bengal Presidency (during the sixties of the Nineteenth Century), happens to be one of the lasts of the living ancients. The Directorate of Cinchona & Other Medicinal Plants (C & OMP) has a vast area of 10023.61 acres of land in Mungpoo under its command. century. Cinchona is planted for its bark to produce quinine and allied febrifuge alkaloids, used for medicinal purpose to cure malaria. The majority of population here has been relying on Cinchona plantation as the main source of their livelihood. quinine and allied febrifuge alkaloids in their bark was begun in 1864.The plantation was started with one hundred plants each of Cinchona succirubra and Cinchona officinalis, and two plants of Cinchona calisaya, at an elevation of about 4,000 feet. A factory was established at Mungpoo in connection with the Rangbi plantation. This factory was equipped with the simplest of appliances for the extraction. Extraction started in 1871, expansion in 1887 and the present factory premises was established in 1905. However, in recent years, with the possibility for artificial production of quinine, its natural extraction has declined. Mungpoo and Cinchona are very like synonyms. It’s because of Cinchona Farming that Mungpoo has earned its name and fame in the world. Mungpoo is a finest hill side village of Darjeeling with its excellent natural beauty and an exceptional tourist spot of Darjeeling apart from it. It is actually hold its glory with displaying its relation with Bengal’s pride Rabindra Nath Tagore as he visited every year to this spot. The Rabindra Bhavan is an attraction of this spot. 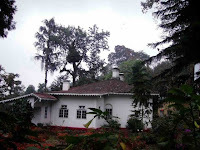 Actually there is a Bunglow where Rabindranath did stay and write many of his poems and letters. This Bunglow being maintained now as Museum with his photograph, painting, writings and other documents related with him during spending time at here. 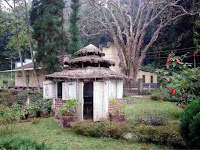 Rabindranath Tagore had visited Mungpoo four times between 1938 and 1940 because of his love for the place and special bond with Maitreyi Devi, the daughter of his friend Surendranath Dasgupta. Memoirs of his stay here were published by Maitreyi Devi in her book ‘Mungpoote Rabindranath’. This place is full of peace and natural treasure of beauty as the views of Kanchenjunga enhance the glory of this place. The Quinine factory is another attraction of this place, here the process of making quinine from Cinchona extract is allowed for the students at their educational tour. The adjoining garden of this factory which is under the state’s agriculture department is very attractive for the nature priest and Botanic persons as it is rich with medical plantations. Therefore this place is famous not only as a summer residence of poet Rabindra Nath Tagore, but also famous for Cinchona plantation. About Mungpoo - Mungpoo is located 33 km east of Darjeeling and 52 km north-east of Siliguri. Mungpoo has an average population of 15,000 to 20,000 people.